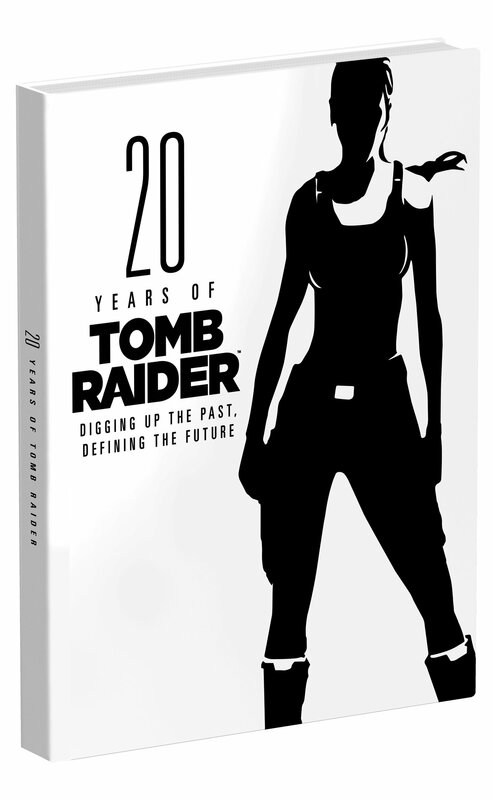 As part of their year-long celebration of the Tomb Raider franchise, Crystal Dynamics and Prima Games will be publishing a special commemorative book this October titled 20 Years of Tomb Raider: Digging Up the Past, Defining the Future. Due out on October 25, 2016, and written by Crystal Dynamics’ own Senior Community Manager Meagan Marie, this 360-page hardcover book will explore the ground-breaking and diverse history of Lara Croft and the Tomb Raider franchise and discuss their impact on popular culture over the past two decades. 20 Years of Tomb Raider will cover the entire breadth of the Tomb Raider franchise, offering in-depth commentary on the games (including a number of unreleased titles), films, comics, and novels as well as exclusive interviews with the immensely talented developers, artists, writers, composers, and actors who helped make Lara Croft a household name. A tiny preview of what we can expect to see in ’20 Years of Tomb Raider: Digging Up the Past, Defining the Future’. And to top it all off, the book will also showcase some of the stunning creations and achievements of the franchise’s highly devoted community of fan artists and cosplayers. 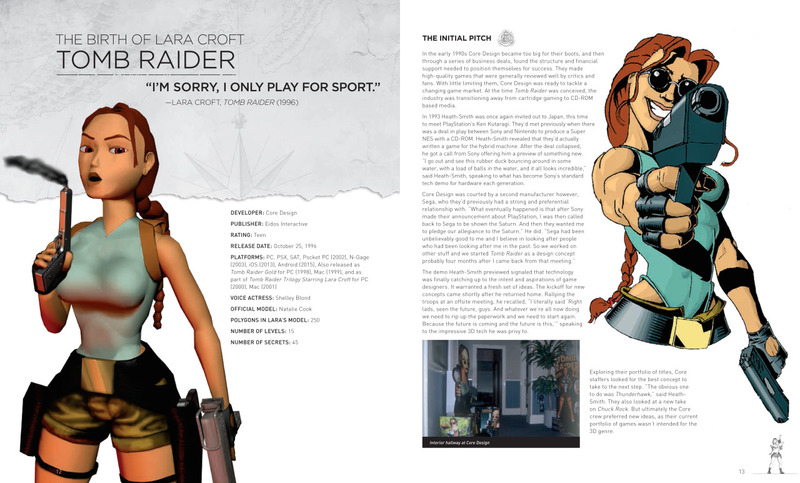 Previews of this highly-anticipated, “must-have” book can be found over on the official Tomb Raider blog. The Archaeology of Tomb Raider’s admin has already pre-ordered a copy of this exciting commemorative book and will be publishing a review on this site in November 2016. Don’t miss it! In the meantime, treat yourself to some Crofty goodness by heading on over to Amazon or Amazon UK to order your copy today! Can’t wait for the release. My Tomb Raider collection is in it.